It's a winter weather warning for Edmonton all the way from Sydney, N.S., care of Canada's favourite amateur weatherman. 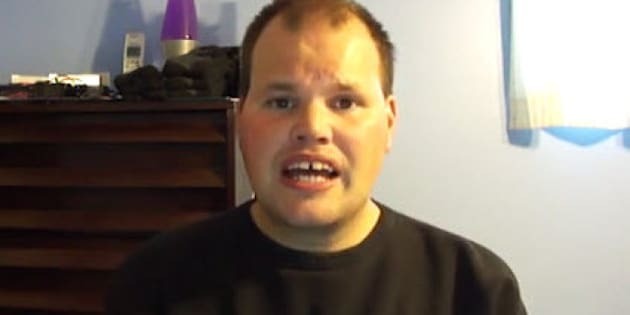 Frankie MacDonald, from East Coast Cape Breton, is warning Edmontonians some white weather is headed their way this weekend, as snow is expected to hit the Alberta captial starting Saturday afternoon. According to MacDonald, "there's going to be about 15 centimetres on the ground," when all is said and done, and Environment Canada is predicting anywhere from 10 to 20 centimetres. "People in Edmonton, BE PREPARED!" he exclaims, before warning of slippery sidewalks and roads. MacDonald's forecasts from Cape Breton have delighted YouTube viewers for months, as he uses his unique style to bring weather predictions to cities around the world. He's offered up weather warnings for towns in far-flung Australia as well as closer-to-home locales like New Brunswick and New York. MacDonald has autism and is sometimes misunderstood by people who watch his videos, but he told the press earlier this year he just focuses on the positive feedback and ignores the negative comments. He's uploaded hundreds of videos online and runs a Twitter account and blog, all focusing around his abilities as a weatherman. And his Edmonton forecast for the weekend is looking pretty spot-on. Most of what he is calling for matches up with Environment Canada's weather warnings for the weekend. Much of central Alberta, as well as Calgary and parts of the Rockies can expect to see snow this weekend. For more information, visit Environment Canada.